Mission Beach's newest enclave, Draft, offers panoramic views of Mission Beach and the Pacific Ocean, prime people watching on San Diego's Ocean Front Walk, nearly 70 beers on tap and tons more in bottles and cans, a 31 foot television screen, a beautifully designed interior, and a chef-driven menu in a historic location. Really, what's there not to like about Belmont Park's newest dining venture? We recently got all up in it for an evening of brews, views and chews, so keep reading, then venture off to experience for yourself! 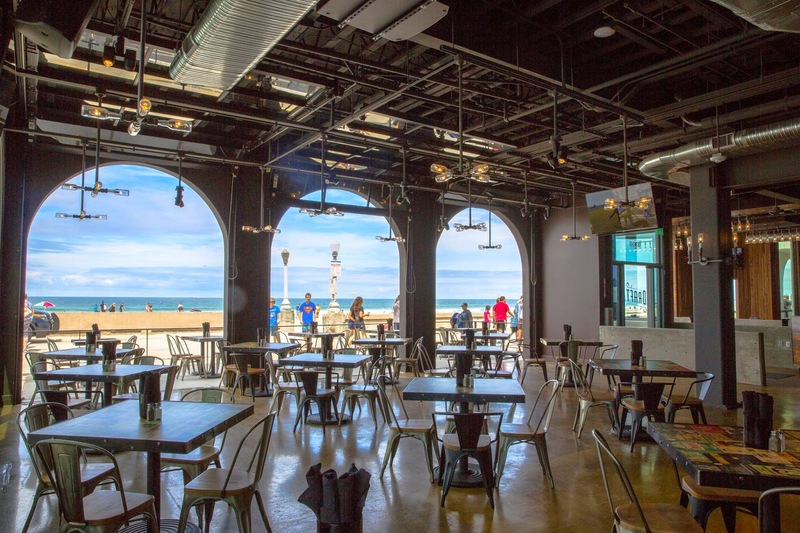 Draft's space was dormant for years after the closure of SoundWave, before that Cane's, but in 2014, as part of Eat.Drink.Sleep's revitalization of Belmont Park, the powers that be decided to focus on modernizing the dining options at Mission Beach's historic entertainment destination. 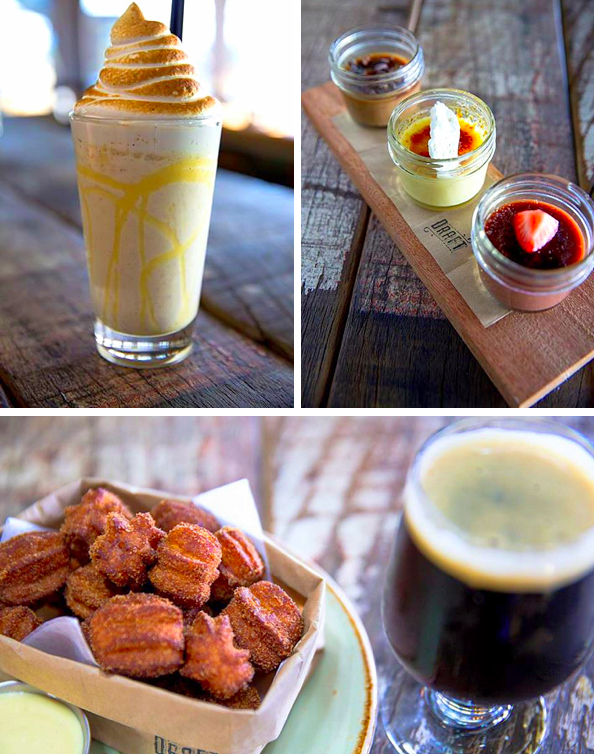 After revamping the rooftop into Cannonball, which has since closed for renovation, EDS decided to embrace San Diego's thriving craft beer industry and pay homage with an upscale restaurant and beer-centric bar. 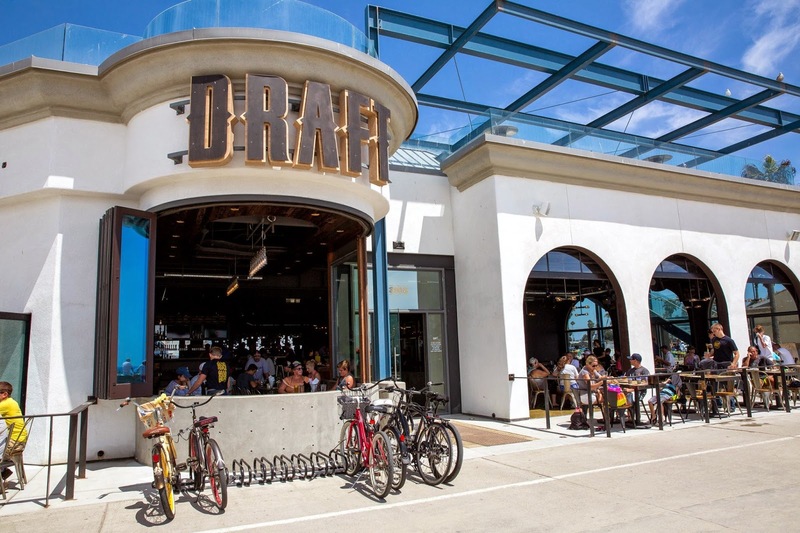 Draft's beer menu includes nearly 70 taps, plus tons of cans and bottles and is filled with San Diego craft beer classics, hard-to-find locals, as well as noteworthy out-of-towners. Draft encourages the sampling of a variety of beers by offering flights and 4 ounce, 8 ounce and 16 ounce pours of most of their draft beers. Not a beer fan? Draft also offers creative cocktails and a concise wine list. The 4,800 square foot space was redesigned by Mauricio Couterier (Bang Bang, El Camino) and Hollis Brand Culture and provides an open and spacious, almost industrial feel. 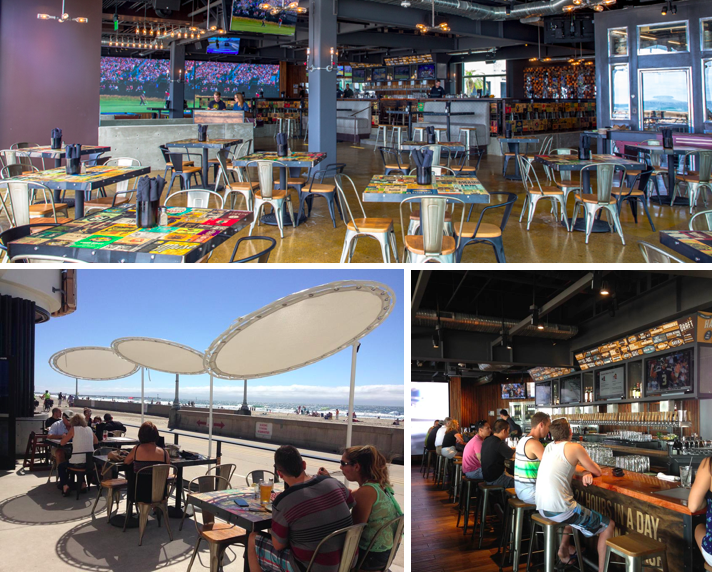 With a 31.5 foot LED wall-length television on the northern wall, Draft has already become a haven for sports fan, but during regular hours, the TV plays self-produced, high definition and very impressive videos of the Mission Beach boardwalk, Belmont Park and action from local breweries. An elevated bar area, glass encased keg room and 2 boardwalk level patios round out the beautifully designed location. Enjoy a fresh take on beachside dining featuring casual fare from Belmont Park's Executive Chef Brad Wise. We started with polar-opposite orders from the lengthy list of share plates. The charcuterie plate ($16) demonstrated the elevated and upscale end of the spectrum, offering a cutting board filled with playful meats and treats - pate, rillette, salami, duck prosciutto, sausage, dried fruit mostarda, pickled veggies and grilled bread all there for the picking, mixing and matching. Then on to the simply gluttonous Belgian cheese fries ($9), a most sinful plate of crispy fries topped with Chimay-beer laced mornay sauce, onion aioli and a sunny-side-up egg. As is usually the case, we preferred the more plebeian dish and sopped up nearly every morsel of that mornay. Draft's menu includes a wide variety of entrees including a multitude of hearty salad options and re-imagined takes on grilled favorites. We sampled the Duroc pork bratwurst burger ($14), topped with house pickles, jalapenos, cabbage and a spicy mayo. The bratwurst was moist and vibrantly flavorful and though it made for a delicious sandwich, as east coast, faux-Italians, we yearned for more traditional toppings to compliment the spicy sausage-y goodness, possibly some grilled onions and peppers rather than the pickles and cabbage, but your palate may be more welcoming to the diversion from tradition. A most scrumptious sandwich, the pistachio crusted salmon ($14), combines a moist, pistachio-dusted salmon steak with arugula, fennel and meyer lemon aioli for a nearly perfect meal. The only issue was that, like the sausage burger, the protein was just too darn small for the bun, which is a cardinal sandwich sin in our book. The protein must be as large, if not exceedingly larger than the diameter of the roll, but don't worry, because we explained this to management and were assured that this issue would be remedied. Both sandwiches came with the option of salad or fries and were served with a crispy pickle. Pastry Chef Jeremy Harville ensures that dessert is no afterthought at Draft. We were led on a tasting tour of the sweet indulgences. The lemon merinque milk shake ($6) was creamy and refreshing, topped with a blissful meringue. The creme brulee trio ($8) is an excellent share dessert, offering something for everyone by presenting mason jars of vanilla, chocolate and strawberry brulees. Our favorite was the churro bites ($7), perfect little poppers of crispy, light and fluffy churros, served with cardamom, lemon and horchata anglaise for dipping. These may be the best churros we've had outside of Mexico. Want to enjoy the views of the beach with a beer in hand and a delicious meal? Head to Draft at Belmont Park, and be sure to check out their popular brunch, served on Saturday and Sunday from 9am-3pm.